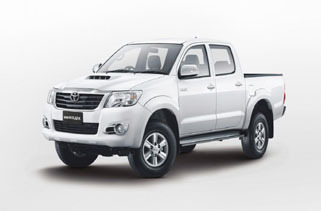 White used hiluxbiggest inventory of Used Toyota hilux vigo double cab, Hilux single cab, extra cab, clever cab 4wd, Toyota Revo, Toyota hilux revo. fully loaded hilux best in Vigo4u.co.ltd, One prevent carrier. Toyota hilux vigo exporter.